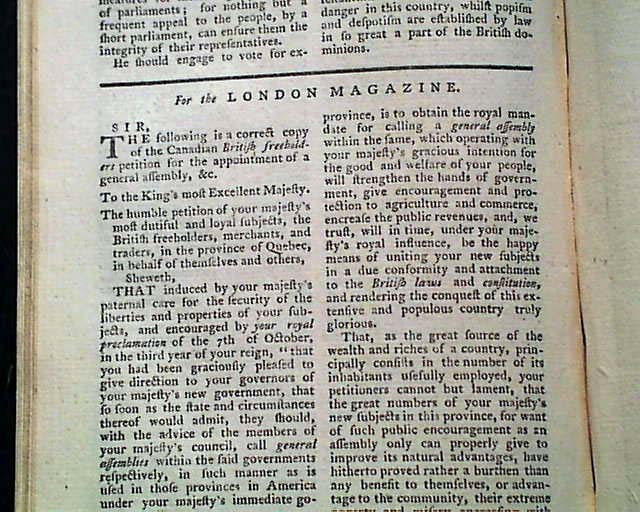 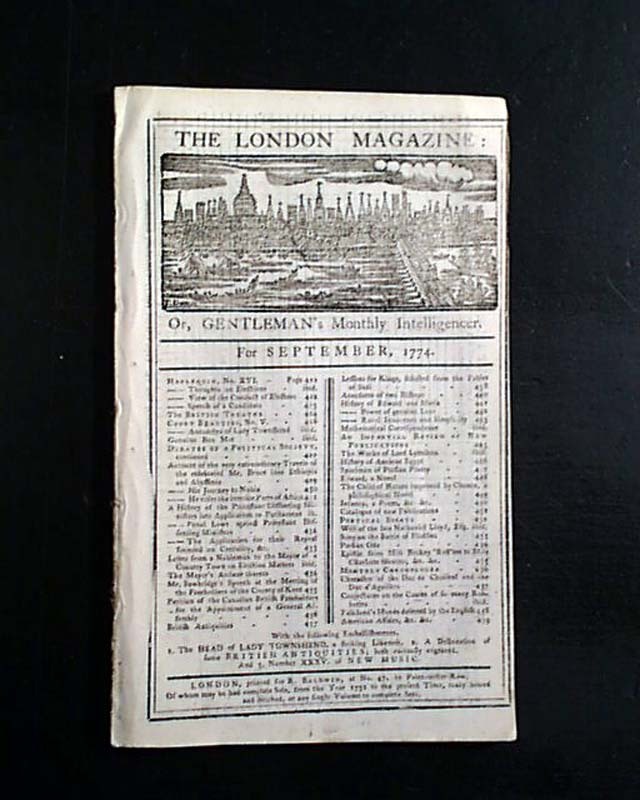 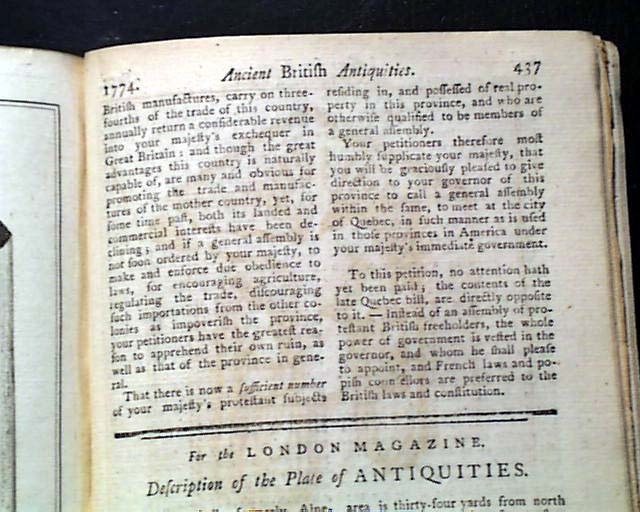 THE LONDON MAGAZINE, England, September, 1774 Included is a: "Petition of the British Freeholders in Canada" for the appointment of a General Assembly. 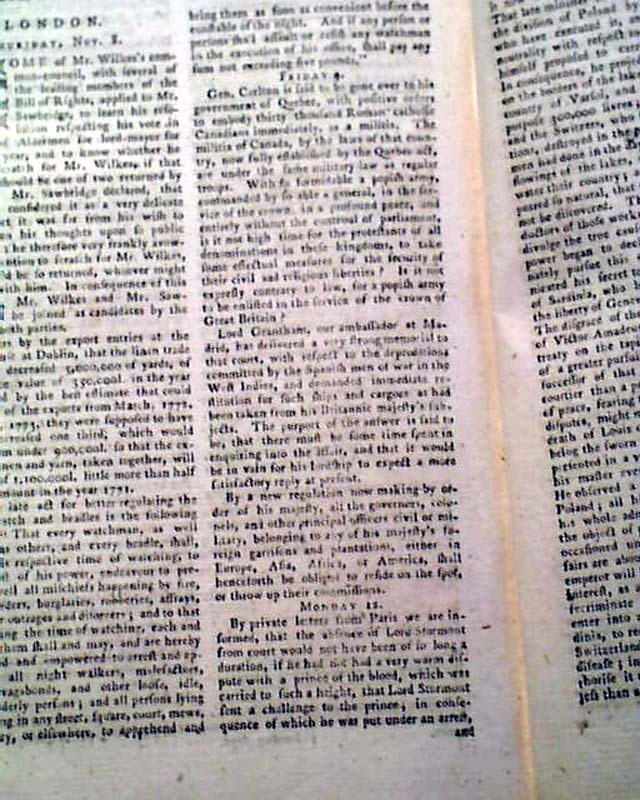 Near the back a report begins: "Gen. Carlton is said to be gone over to his government of Quebec with positive orders to embody 30,000 Roman catholic Canadians immediately, as a militia..." with more on this. 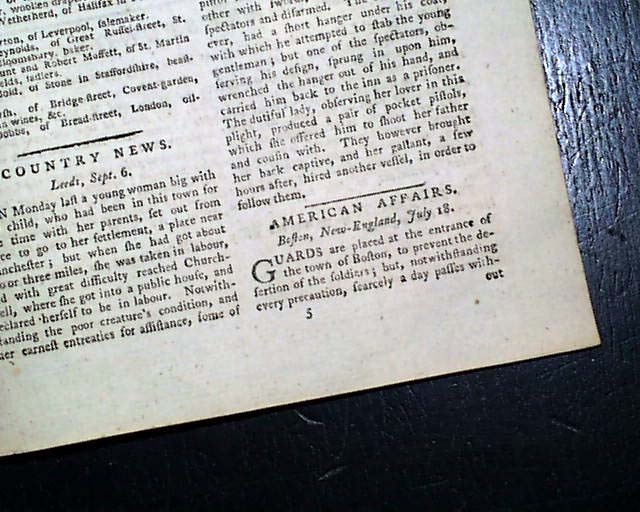 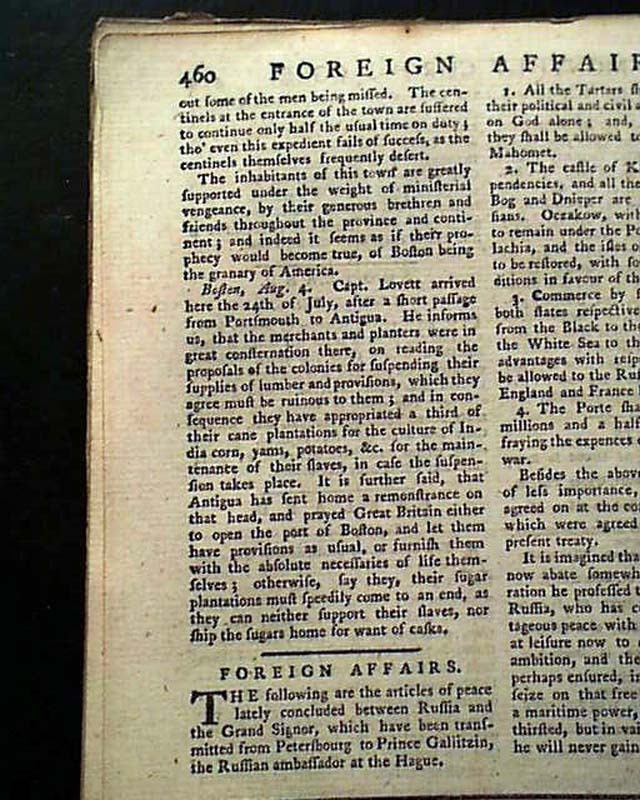 News headed: "American Affairs" from Boston begins: "Guards are placed at the entrance of the town of Boston to prevent the desertion of the soldiers; but, notwithstanding every precaution, scarcely a day passes without some of the men being missed..." And also: "...The inhabitants of this town are greatly supported under the weight of ministerial vengeance...indeed it seems as if their prophecy would become true of Boston being the granary of America..." with more on this. 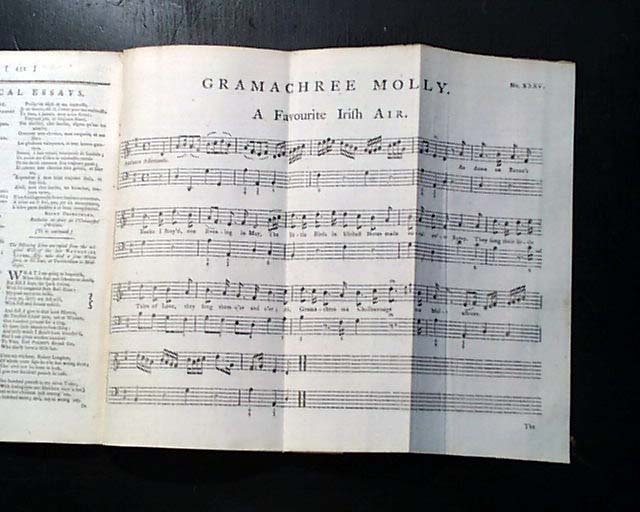 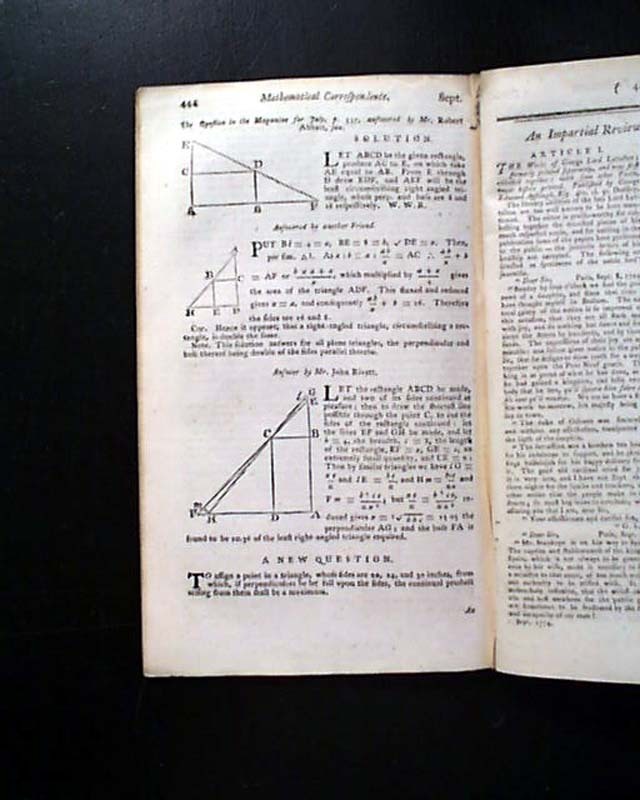 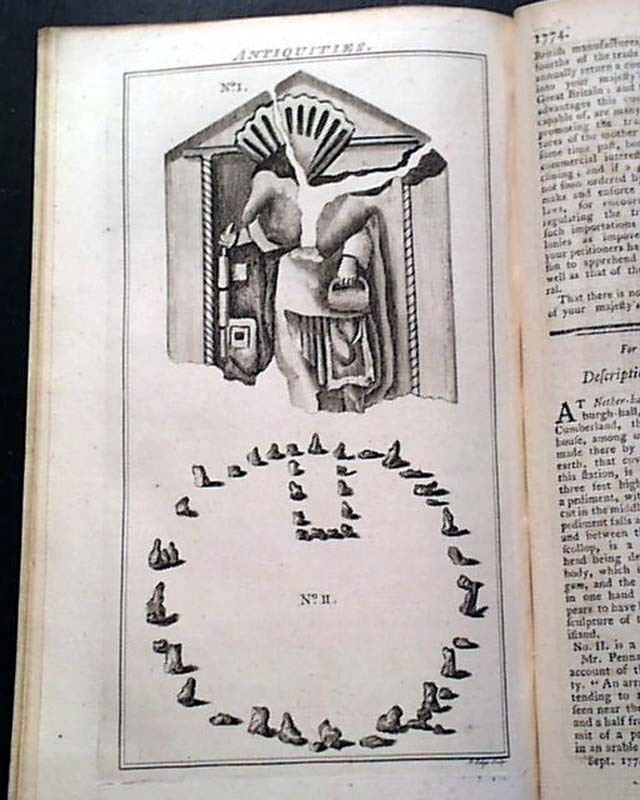 Both plates called for are present as well as a foldout piece of music.